Jonathan Taylor has been a pianist, composer and educator for over twenty years, primarily in the fields of jazz and tango music. He has worked with legendary funk musicians Pee Wee Ellis and Fred Wesley and played and recorded with many great jazz musicians including Iain Ballamy, Eddie Parker, Andy Sheppard and Gilad Atzmon. 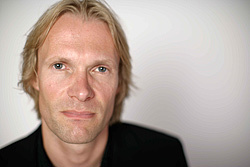 He studied composition at Middlesex University and has written music for large and small ensembles, contemporary dance and music education projects. 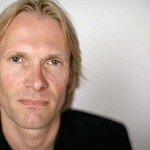 He currently teaches jazz at the Guildhall School in London and is a music examiner for ABRSM. Outside of jazz Jonathan is a founder member of the UK’s leading tango ensemble Tango Siempre and has performed with them in every kind of venue imaginable from concert halls in Europe to tiny village halls on remote Scottish islands. He co-created the West End show ‘Midnight Tango’ featuring dancers Vincent &amp; Flavia and was musical director of their show ‘Tango Moderno’ in 2017. Various theatre jobs over the years include Edward Scissorhands by choreographer Matthew Bourne and Blues Brother Soul Sister with soul singer Ruby Turner. He has recorded two albums of contemporary classical saxophone music and written arrangements for the rock musician Robert Wyatt. Jonathan also has a folk band called Counter’s Creek and plays various types of Irish whistles when he is not practising scales and arpeggios on the piano.